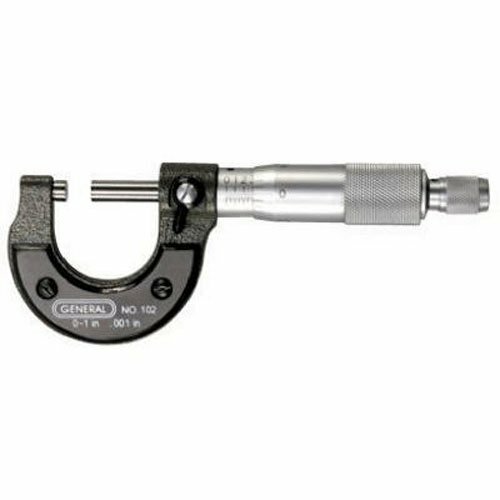 General Tools Utility Micrometer is a practical and economical measuring device that is ideal for both beginners and hobbyists. The easy to use tool is perfect for use in training programs, general tool rooms, machine shops and automotive work. Features a durable satin finish, friction thimble to per MIT consistent measurements and machine cut graduations for hassle-free readings. Designed for precise readings with accuracy up to .001". Includes hex wrench allowing for simple zero adjustments. Ranges from 0" to 1".